I started this evening pondering why the Kansas City Royals offense has been so punchless the last few years and why nothing seems to change. New batting stances, a new spot in the lineup, a new approach; it just always seems like nothing really does the trick for these guys. As I was writing all of this out on the Twitter, the Royals offense exploded for eight runs off the Cleveland Indians. Yes, the superstitious part of me wanted to say it was because they wanted to prove me wrong. But the truth was they were facing a pitcher with great stuff but lots of issues in Danny Salazar. Let’s just call him Cleveland’s Hiram Davies. But while watching the Royals offense show what they are capable of, I realized something. It’s the battle that every fan encounters from time to time. I was letting my heart run the show instead of my brain. 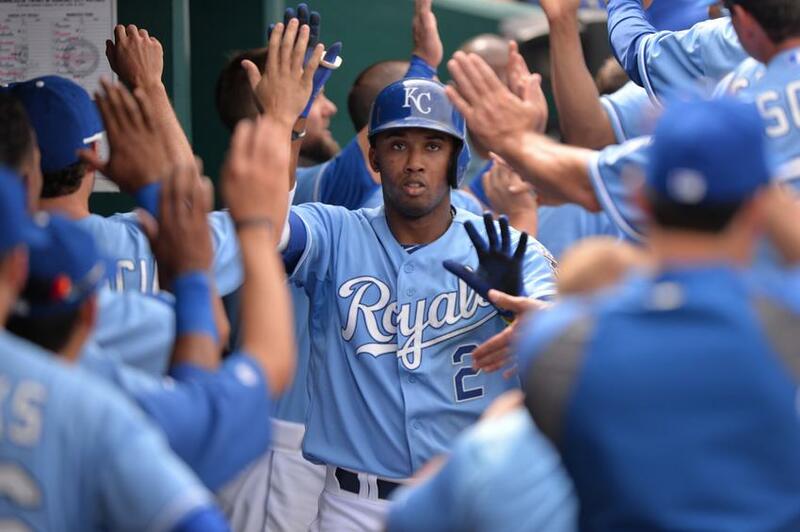 For example, two of my favorite Royals are Mike Moustakas and Alcides Escobar. I’m a sucker for the above average defender, and for the most part these two fit the bill. But both struggled mightily(at least offensively) in 2013 and there was no guarantee they would bounce back this year. I kept saying I thought there was a good chance they would, or at least be better than they were last year. I know, neither could have been much worse. But I was saying that just as much because I wanted it to be true as much as I really thought it would happen. 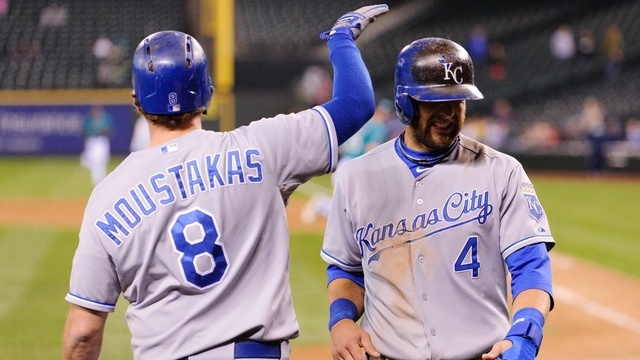 Both got off to horrendous starts(they were the last two Royals regulars to get hits this year)and it was hard not to think that we were going to see a repeat of 2013. But then Esky got a hit, and he hasn’t stopped hitting since. Moose would be the last to get a hit, and despite him still hitting .138(and holding an OPS of .531), I held out hope. Part of it was his approach at the plate; Moose already has six walks on the year and has looked way more patient than I can ever remember him. 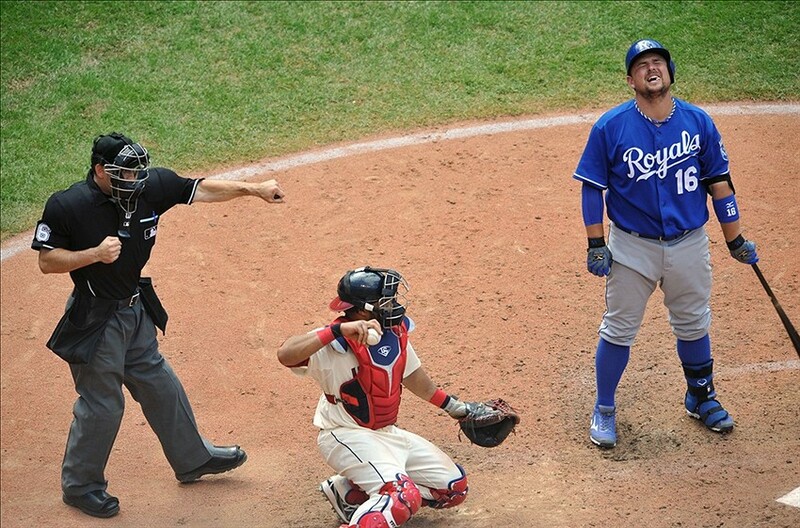 But the other part was my heart wanting him to improve and be a vital cog in the Royals machine. I’ve been rewarded this week with home runs in three straight games for the man we call Moose. Obviously when it comes to some players, your heart as a fan wins out over what your brain tells you to feel. But there are times the brain wins out. Take for instance Billy Butler. I’ve been accused of being part of the Billy Butler fan club lately because I tend to stick up for him. To be honest, there are probably five to six Royals that I enjoy watching more than Billy, so he isn’t a top favorite of mine. 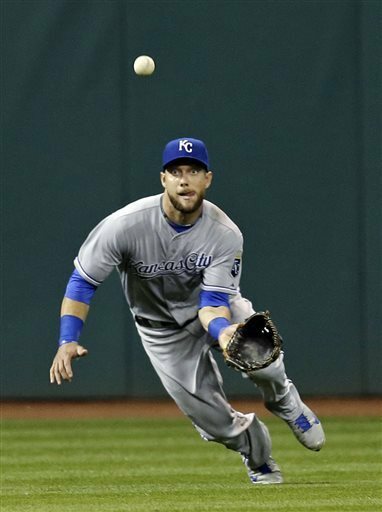 But Billy has done one thing in the eight years he has been in Kansas City blue: hit. Butler has only had one season where his OPS+ was below 100 and has been the model of consistency for those Royals teams. So when Butler struggled a bit last year, I didn’t worry. When he struggled to start this year, you worry a bit, but your brain keeps telling you “he has always hit. He will hit again.” Your mind tells you to go with the pattern and know that the percentages say he will continue to hit, especially since he is still only 28. Consistency wins out almost every time. There are exceptions to that rule (like regression), but for the most part you should side with the consistent pattern. That is why I will side with Billy, until he proves otherwise. Speaking of regression, that is the third part of this tale. Your heart will sometime lead you astray, and so will regression. The thing is regressing happens to every ballplayer whether they like it or not. That 96 MPH fastball you used to be able to catch up to? First you continually foul it off, then gradually it just blows past you. For a pitcher, you once were able to hit 96 on the radar; then you are only hitting the low 90’s. The thing with regression is you can see a player slowly aging, but still assume he can do the things he used to be able to do. Look at Albert Pujols. Pujols is 34 now. Injuries have slowed him down considerably to where he has gone from the best player in baseball three years ago to just a very good player. The thing is, despite his numbers declining, he can still be an elite player. 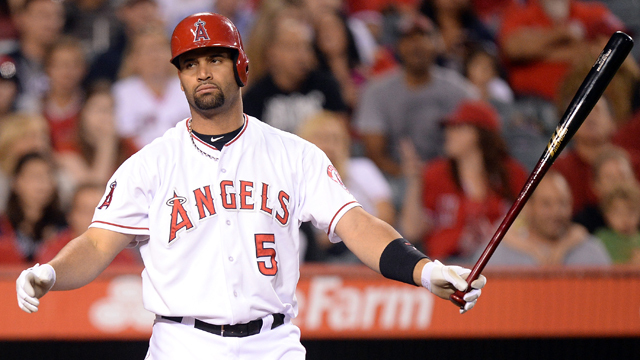 Pujols is still capable(if healthy) of 20-30 homers, 100 RBI’s and a .300 average. Not bad, huh? What most expect from him is his old numbers: 40 homers, 120+ RBI’s and a .340 average. It really puts into perspective just how great of a player Pujols was when he could still put up top notch numbers but because it is so far below his old standard, he looks like a shell of his former self. This is what regression does. It takes longer for your mind to realize that time has taken it’s toll and your expectations should be lower than what the player was capable of in his 20’s. So which should you listen to more, your heart or your brain? Honestly, a little of both. Your mind will follow logic and allow you to separate the reality from wants and needs. But your heart…your heart gives you optimism and is more likely to believe in the unbelievable. Your heart will give you hope that otherwise might have been taken out to pasture years ago. Is it sometimes misguided? Obviously. But it also helps you get through a long season and see the good even within losses. Sometimes those of us that follow baseball so religiously forget that being a fan is equal parts optimism and evaluation. Sure, the snark will still be there at times and even hostility toward mistakes. But sometimes following your heart makes the game that we love that much more satisfying when something unbelievable happens. That’s why I still listen to my heart, even if my mind knows better. I want to believe.